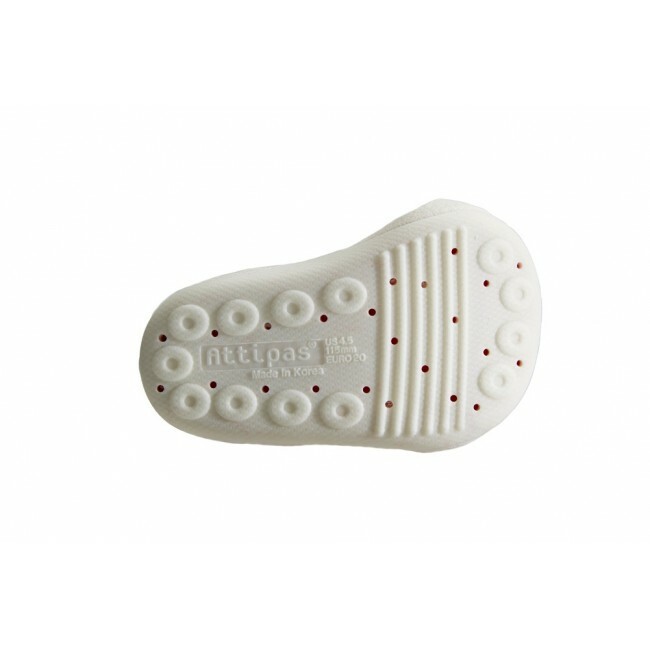 These baby sneakers from Attipas look just like the classic "chucks", yet are easy to put on thanks to their modern design. Comfortable and fashionable - the perfect crib trainers. Even little ones need their own sneakers or 'Chucks'! 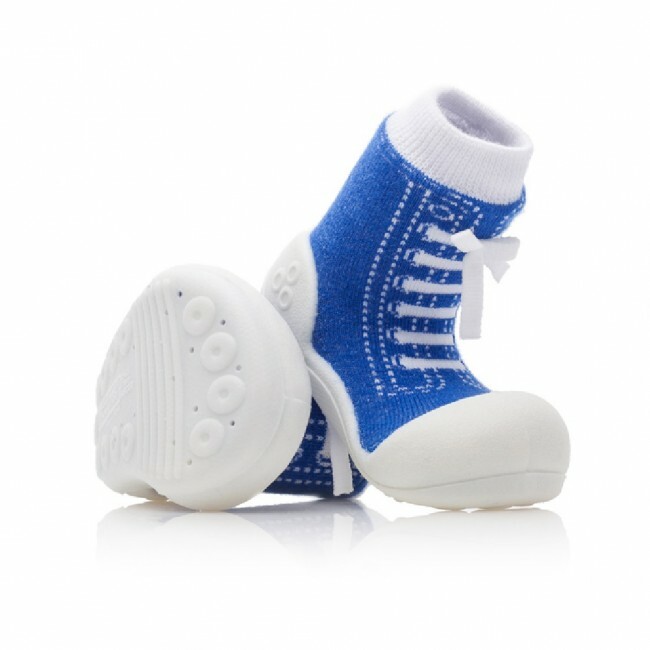 The elastic cotton sock makes it easy to slip little feet in and out of these laceless trainers, while perforations on the soles of these fun slip-on shoes keep tender feet cool and dry while children crawl, explore the house or run around the playground.